Sandra Riper, the owner of a jewelry store and art gallery in downtown West Chester, said the shopping promotion, Small Business Saturday, has been a big plus for her and the downtown. She is wearing a promotional pin and the store had other reminders of the shopping event. Small Business Saturday means big business to merchants across the greater Philadelphia region. And for customers, it also meant welcome promotions and discounts as well as a sense of community from downtowns stretching from New Jersey’s Haddonfield to Philly’s Manayunk and on to West Chester, Pennsylvania. “It brings an awareness of how important it is to support the downtown. 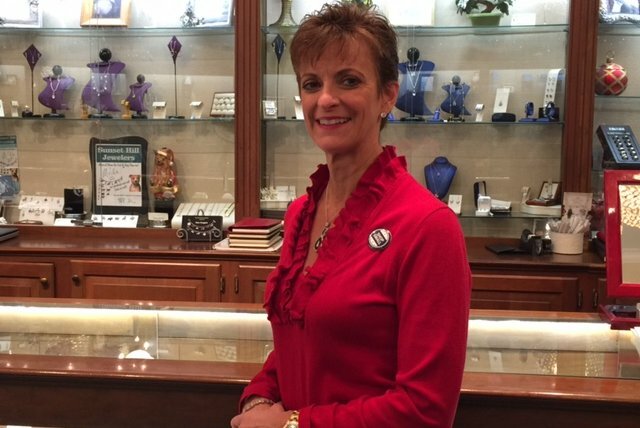 The downtown is the reason why people are moving here,” said Sandra Riper, the owner of Sunset Hill Jewelers and Fine Arts Gallery in West Chester. A creation of American Express, the event is supported by online advertising through the credit card company. Local merchants tend to co-promote, as well as adding discounts. “It’s a good thing,” said Riper, in business for more that three decades, just after helping a customer with a ring. 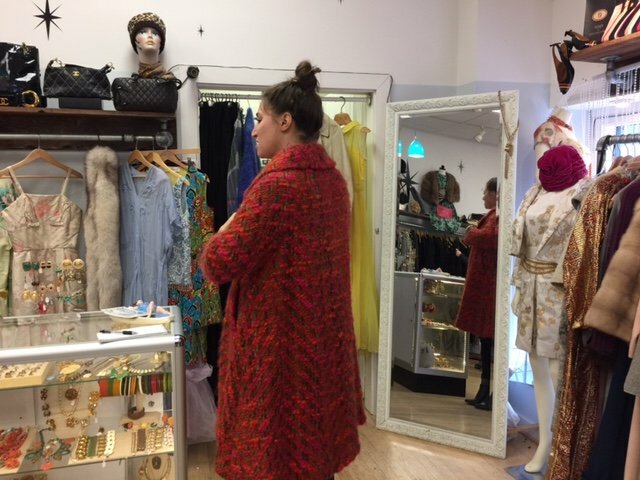 Malena Martinez, who has operated a self-named vintage store in West Chester for 13 years, said the shopping holiday has become an event her customers, such as Emma Alois, 29, and Magdalina Belashov, 36, embrace. Magdalina Belashov of Chadds Ford was shipping for vintage clothes at Maleena on Small Business Saturday. Belashov, of Chadds Ford, tried on a succession of three items, beaming as she stood on tiptoe and spun in front of the mirror, knowing there was a 20 percent discount. Aloise, who was trying on a coat, said she comes for the relationship with the store’s owner. “If she could dress me in the morning it would be great!” she said as another customer gave her tips on dealing with the fabric of the coat she was considering. 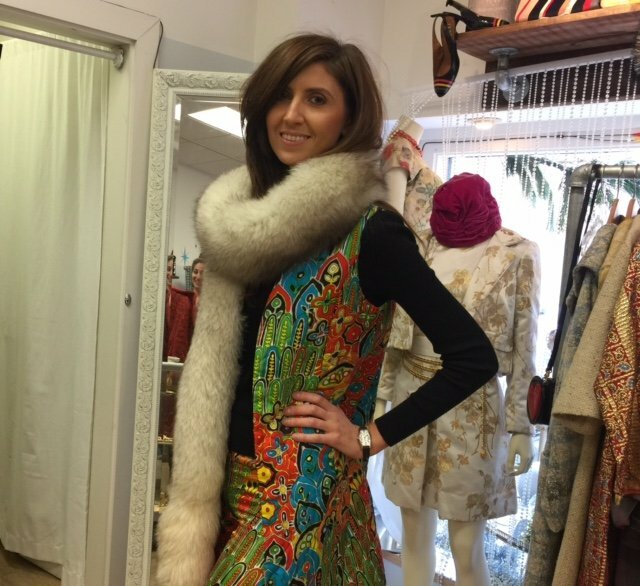 Emma Aloise is a dedicated vintage shopper, but the 20 percent discount Maleena's of West Chester offered as a part of Small Business Saturday was an added draw. Martinez has made the day an event, opening an hour early, serving champagne and snacks, offering a discount and opening a private showroom. The owner said she has a “significant” business bump. The “great crowd” makes it hectic, but her customers have clearly embraced the sense of community that comes with the event. Jenna Myers, 22, an employee at the Green Eyed Lady, a jewelry and clothing store in West Chester, said the promotions have made Small Business Saturday “as busy as Black Friday." West Chester artist Beth Bobey said she’s come downtown to shop on the promotional day because she herself sells her work through small area merchants. 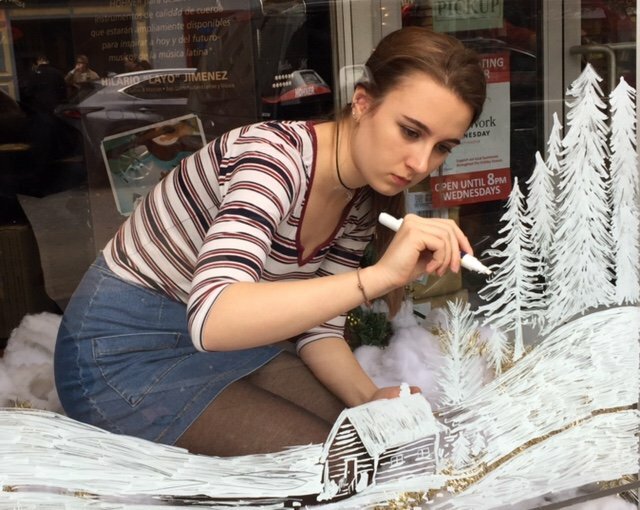 Kristen Burnett decorated the window of a West Chester music store during Small Business Saturday. 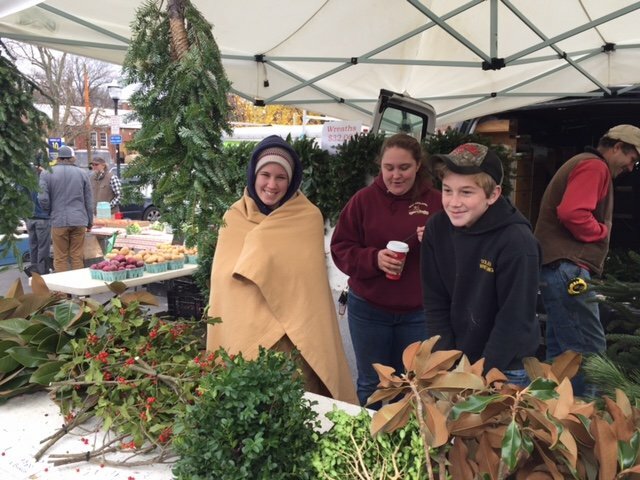 Kevin Keeport, who was selling greens and Christmas trees at the West Chester Grower’s Market just off the city’s main thoroughfares, said Saturday was a bit slow at his location. But the Lancaster resident thought that was because the city’s downtown merchants were seeing the action. Kevin Keeport and helpers said the West Chester Grower's Market was a bit slow, but as a small business owner he was good with a promotion drawing shoppers to the downtown of West Chester. And as a small businessman, he’s just fine with making a day that helps fellow small businesses.